**Some of the links in this post are affiliate links, meaning, at no additional cost to you, I will earn a commission if you choose to make a purchase. Now to the juicy part - why I think they are fantastic! Maud is all about finding your purpose, finding your passion projects, not to mention she's really amazing at promoting other bloggers. Her site helps you to find your passions, explores her various projects, setting goals, tips with blogging, and tons more. It is also beautiful to look at and she writes well to boot! She's also a #bujo girl which I absolutely love (if you can't tell by my tweets). First off, her name is #llamazing! This is inside joke! Her story touches your heart and makes you want to give her a hug. She's powerful with her words and it makes me angry that some nasty people made nasty comments on one of her posts. If I was 10 years old, I go about screaming, "let's beat 'em up!" Llama is relentlessly positive even through tragedy. Most of all she's brave-ready why here. Elle is the founder of #BloggersUnite and is great at promoting others. 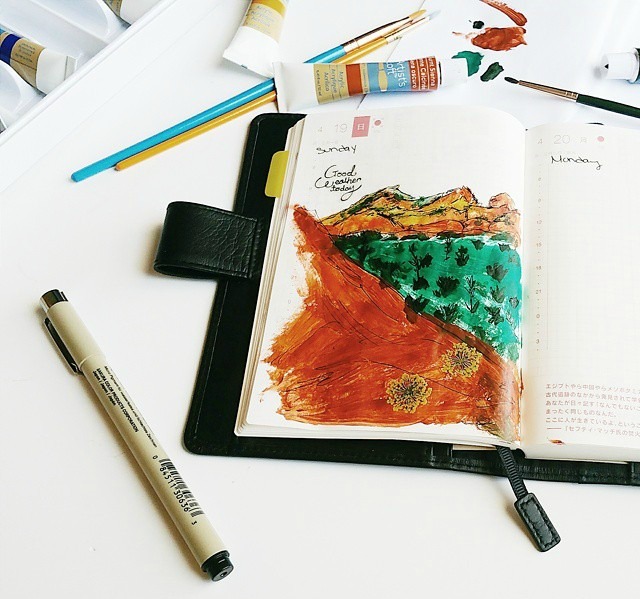 Her blog is part travel, part wine (swoon), part self-care, and just all around awesome. Her adulting posts always force me to remember to not be too hard on myself even if I am almost 40. Phigella's blog covers mental health (near and dear to me), crafting, books, and a little bit of everything. It's always a fresh breath of air to read her ramblings. Her "Growing Up in the 80s" posts are hilarious...probably because I also grew up in the 80s and $hit was really funny back then. As the name indicates, this blog is all about mom everything from blogging, to recipes, to parenting, and to all the life we live in between. Her posts on Types of Moms is in a word - hilarious because it's so damn true. I wish I could be an Instagram mom - oh to be flawless. YEA RIGHT. I use way to much dry shampoo for that! Joan's positivity is hands down the best place you will find on the web to get a shot of happiness, inspiration, and hope. Her quotes are amazing. She talks finding your purpose, finding happiness, and simply all things good. If you need a pick me up, read her blog. Seriously. She has a post on Happiness Facts even! Seaweed kisses is an artist and I mean a real one. See what I mean? 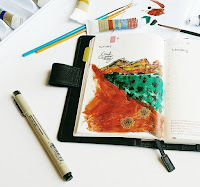 She loves pens, notebooks, and makes seriously spectacular bullet journal stuff. Not to mention, she does all this crazy awesome craft stuff. I love her stuff so much that I actually subscribe to her on Patreon. Like I send her money cause I want her to create more pretty stuff. I'm committed! Nobody needs to convince me to travel; I've loved traveling since my parents sent me on my first plane ride alone at 7. Thomas shows you what you're are missing with his beautiful pictures of fantastic places. I'm just super jealous all of the time now. Doesn't this make you want to go Prague now? Tales is part lifestyle, part recipe, and a whole lot of Keto goodness. She is the only person that actually makes me want to do Keto and makes it sound worthwhile. Plus, her recipes look #llamazing! Claire's blog is a bullet journalist's dream. So many pretty things. Pretty layouts, pretty crafts, pretty, pretty, pretty. She also has fun craft stuff for people that aren't particularly crafty...like me! Hello, paper flowers from cupcake wrappers! They are gorgeous! Ah, great post and thanks so much, really made me smile! 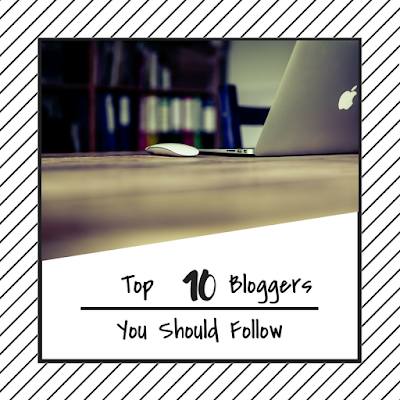 Such a good list if bloggers! 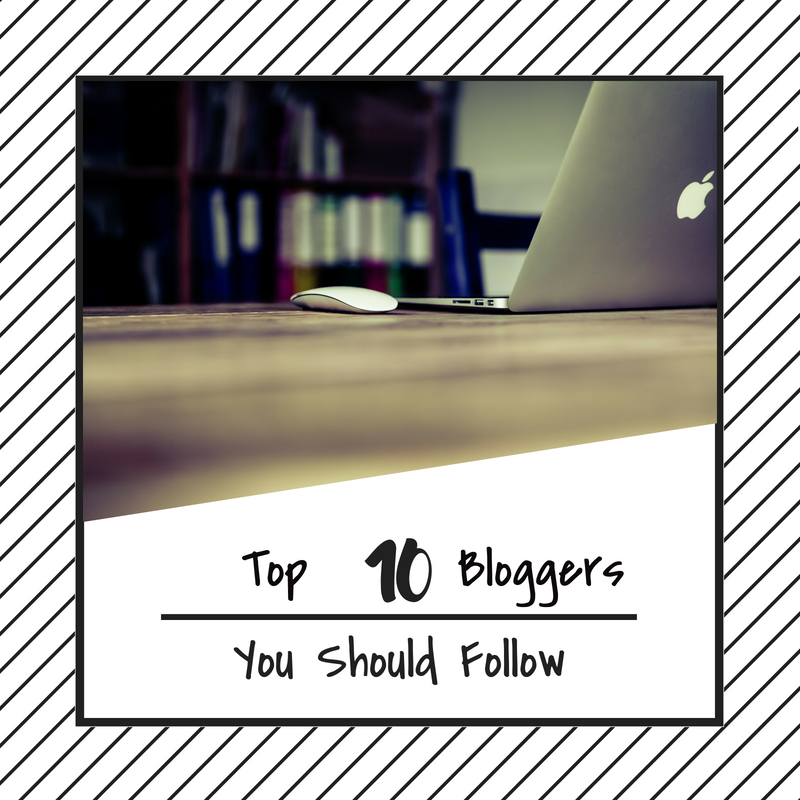 You have some blogging power players on your list! Way to go, all! This is definitely a great list. I am a fan of so many not here. Thanks for the shout out! You're a doll! Terrific list! I am a fan of yours & all of them!